Modern cosmetics and medical implants contain many inorganic substances. 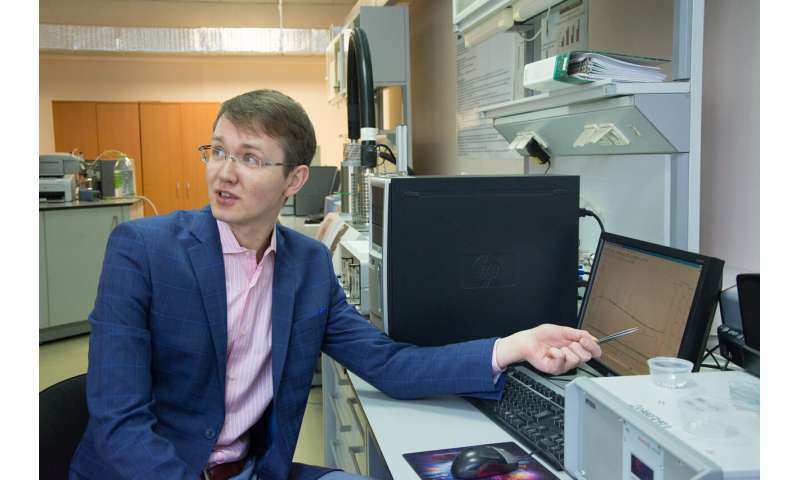 Studies by South Ural State University researchers are aimed at understanding how biological molecules of the human body will interact with new, foreign, inorganic molecules and implants. A study by the SUSU team of nanotechnologists published in Langmuir could advance international medicine, cosmetology and transplantology. The human body is an obvious example of the interaction between the organic and inorganic. Protein generated in human body is able to form a mineral, calcium phosphate, from which all bones and teeth are formed—a natural, inorganic part of the body. However, the mechanism of the formation of inorganic parts has not yet been discovered. The scientists from the SUSU Nanotechnology Research and Education Centre have set a goal of repeating the processes of growth of the inorganic parts of human body in laboratory conditions using biomineral proteins. This will help scientists and medical researchers around the world understand how organic and inorganic matter interact, which could support future scientific breakthroughs in medicine, cosmetology and transplantology. "The first task we set for ourselves was to understand how big molecules (proteins) interact with this mineral phase. Before combining with microcrystalline mineral, proteins must come into close contact with the mineral, and metaphorically speaking, take its hand before integrating into a big bone structure. In January 2019 our article was published, which was dedicated to how interactions between the biomolecules of protein and mineral parts (inorganic crystals) occur in a simple fashion," says Oleg Bolshakov, head of the project and researcher of the Nanotechnology REC. The main issue was that it was difficult to isolate mineralizing proteins in their pure form. "We did not locate proteins, because they are unavailable. So we decided to study the interactions not with the protein itself, but with its constituent (amino acids). Knowing how an amino acid sequence will interact with a protein, we can formulate a hypothesis about how a complex combination of amino acids will interact with inorganic microcrystals. Our article was devoted to the interaction with amino acids." To complete a number of studies on biomineralization, the researchers chose an ecologically clean synthesis of inorganic matter, specifically, nanoparticles of titanium dioxide, since this is one of the main fields of research at the SUSU Nanotechnology REC. "In many ways, the conclusions from our measurements complement what was stated previously in our theoretical opinions. For example, we confirmed a previously stated conjecture that the so-called negatively-charged acids (or acidic amino acids) interact much more weakly with nanoparticles than basic amino acids do. Our team was the first one to show exactly how weakly they interact," explains Oleg Bolshakov. 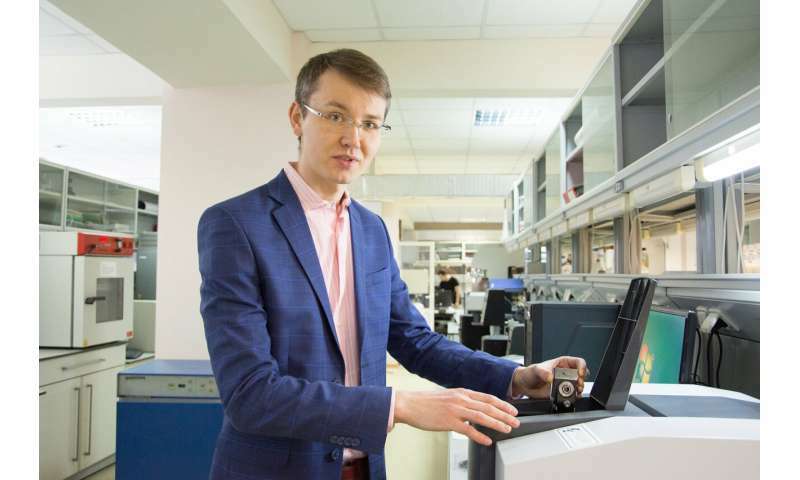 SUSU researchers involved all the facilities of Nanotechnology REC in their studies, starting from the synthetic laboratory, where they formed the nanoparticles of the highest crystallinity thanks to postgraduate student Roman Morozov. These nanoparticles where characterized using all types of microscopy: transmission and scanning electron microscopy, infrared spectroscopy, and ultraviolet spectroscopy. A significant portion of the research was dedicated to the theoretical modeling of the results. Vladimir Potemkin, Head of the SUSU Computer-Aided Drug Design Laboratory, is a recognized specialist in this field and has developed his own method of theoretical modelling. His calculations showed that it is the amino group in particular that provides for the adhesion of biological molecules to nanoparticles, i.e. with inorganic microcrystals. The studies by South Ural State University researchers are quite important. For example, a large number of pigments in cosmetic products and medical implants use titanium oxide. The theoretical and practical groundwork laid by the researchers will make it possible to understand how biological molecules will interact with these foreign introductions and determine which interaction will provide the best affinity. The researchers plan on continuing their series of studies on biomineralization.